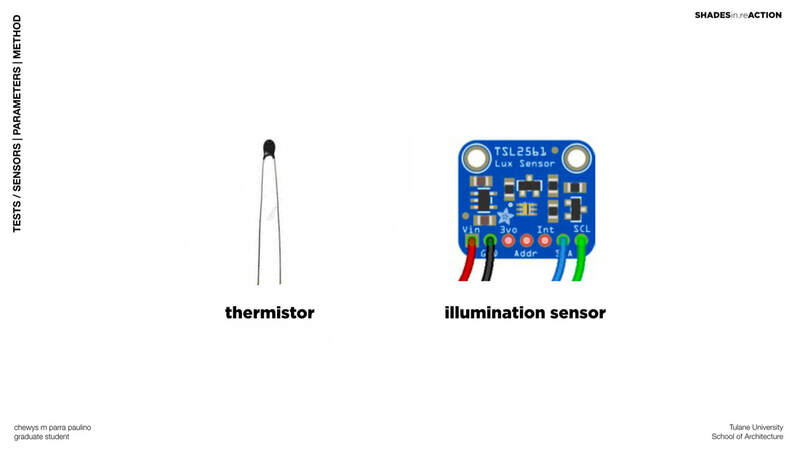 The main Sensors used on the experiment where a Thermistor to read Temperature, and a TSL2561 Illumination sensor for Illumination. 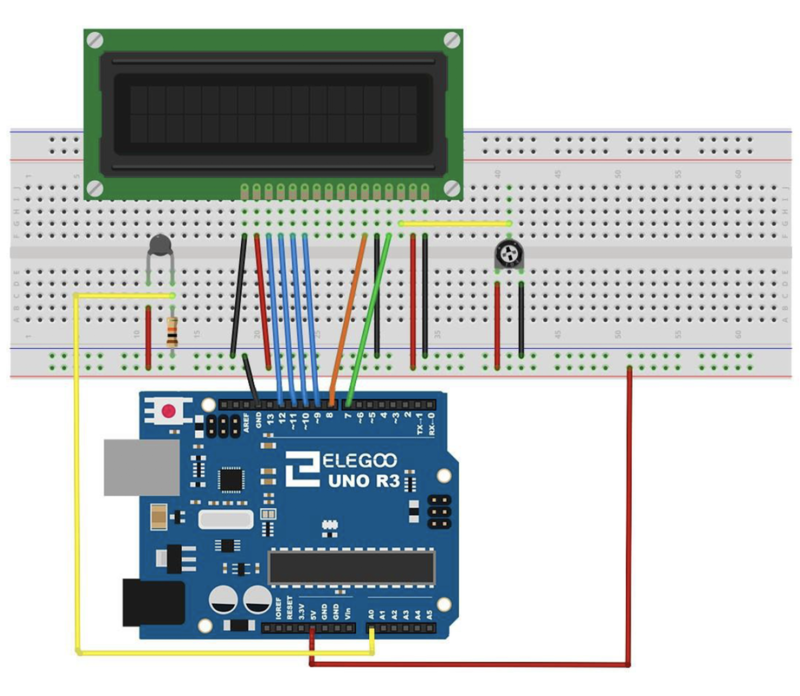 Code used on elegoo board using the "Arduino" Program. 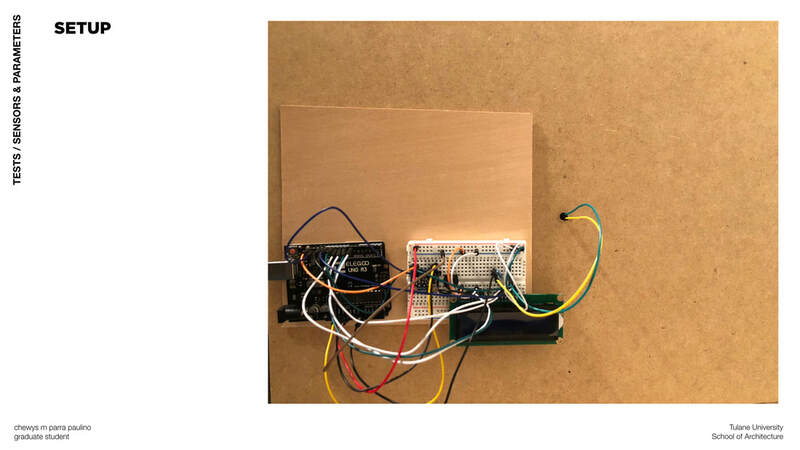 Data was Read on the Serial Monitor included on the "Arduino" Program. 1. 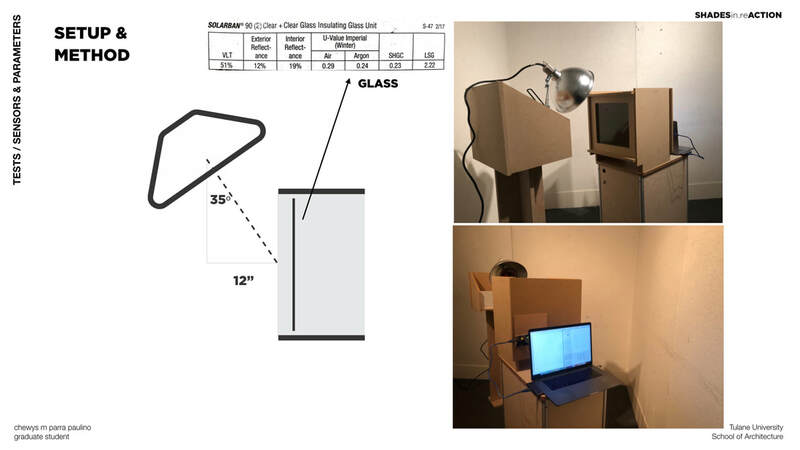 Set the Test Box according to dimension space and Lamp angle. 2. Apply the Shading System. 4. 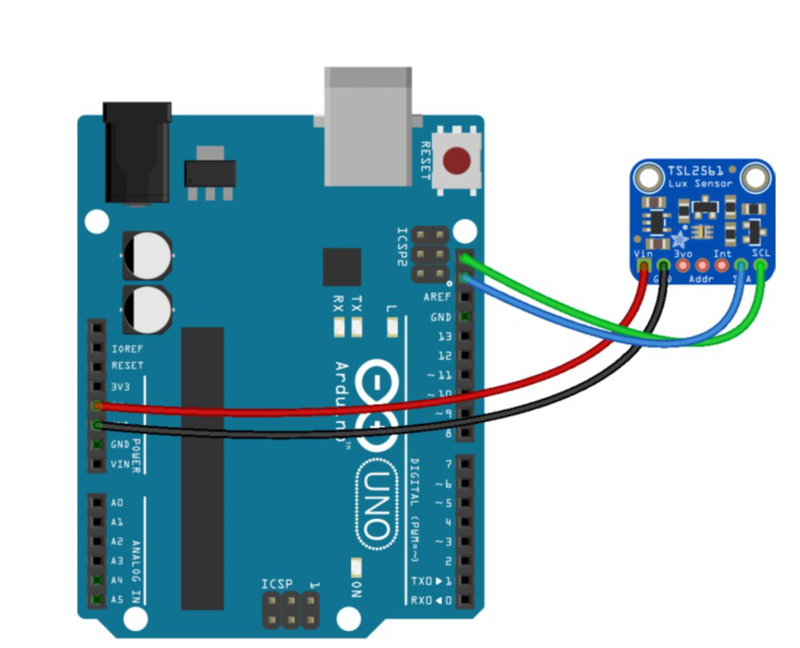 Connect to your computer in the "Arduino" Program and apply the Code. 5. Open the Serial Monitor and get Data. Each designed typical system with its respective material of construction will be installed on the test box. A heat lamp will impact the glass that will be protected by a shading system. 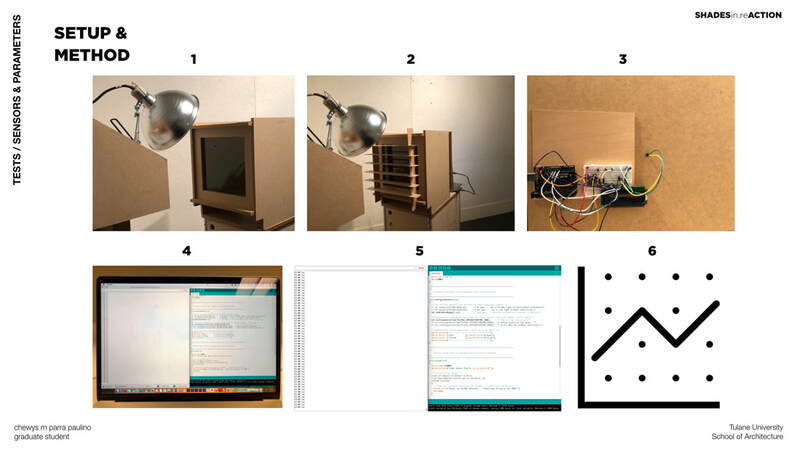 At the same time, sensors will be operating measuring illumination level and temperature inside the test box. The goal is to maintain a balance between illumination and temperature. 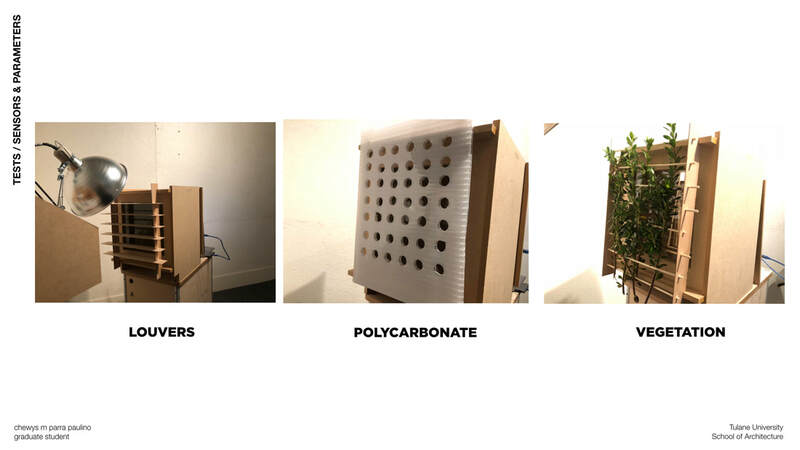 The test box inside intend to mimic a buildings interior space. Because of scale, temperature and illumination data will probably not be compatible with human scale temperature and illumination data. Therefore, the test requires to have a “control group” data. It being to measure illumination and temperature directly through the glass, without shading system. 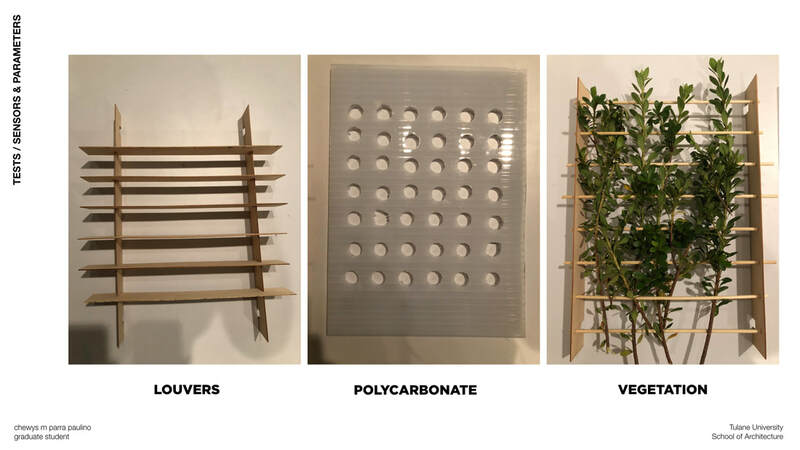 ​Data will be analyzed to understand which typical system with its respective material of construction worked better at maintaining a balance between illumination and temperature.